We have lots of tubes…44-inch and 48-inch. 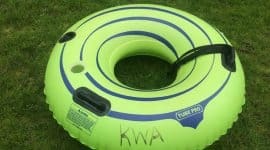 The tubes are made of 30 gauge vinyl which will not chafe arms or rub off on suits like black truck tubes. All the tubes are equipped with a safety ball on the inside of the main chamber. 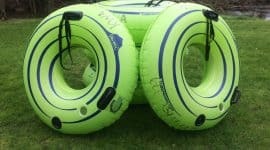 Each tube is also equipped with two heavy duty handles and one cup holder which is ideal for keeping your drink close by. We include straps to tie your tubes together. That way you and your friends can stay close and enjoy the Kickapoo River together. 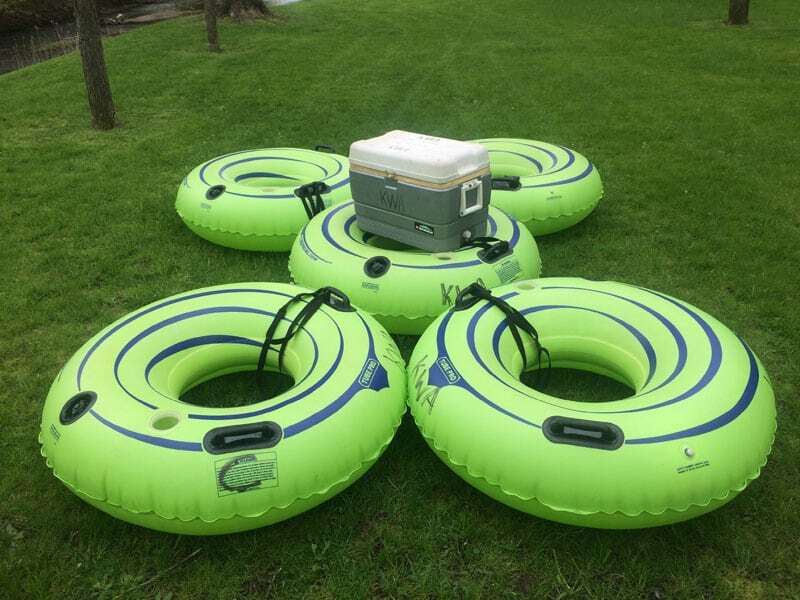 If you bring a big cooler, we can strap it on one of our smaller tubes at no cost. 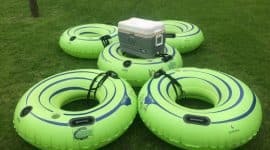 Bigger the better for the cooler and if it has handles it’s a lot easier to strap down. Just remember that we need to get all the straps back so the next tuber can use them. 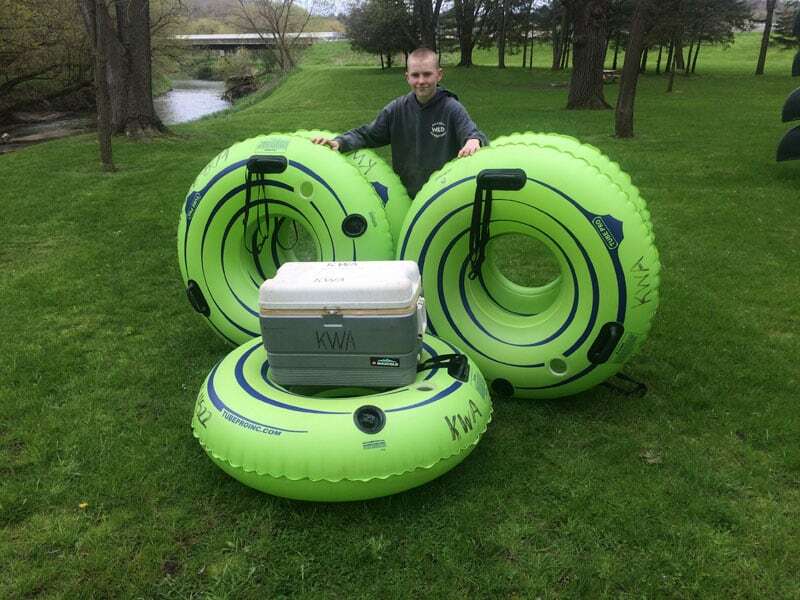 Trip lengths with the tubes vary with the water levels throughout the summer. We offer two ending points: Ontario which takes roughly 1.5 to 2 hours and Bridge 4 which takes 4 to 5 hours. 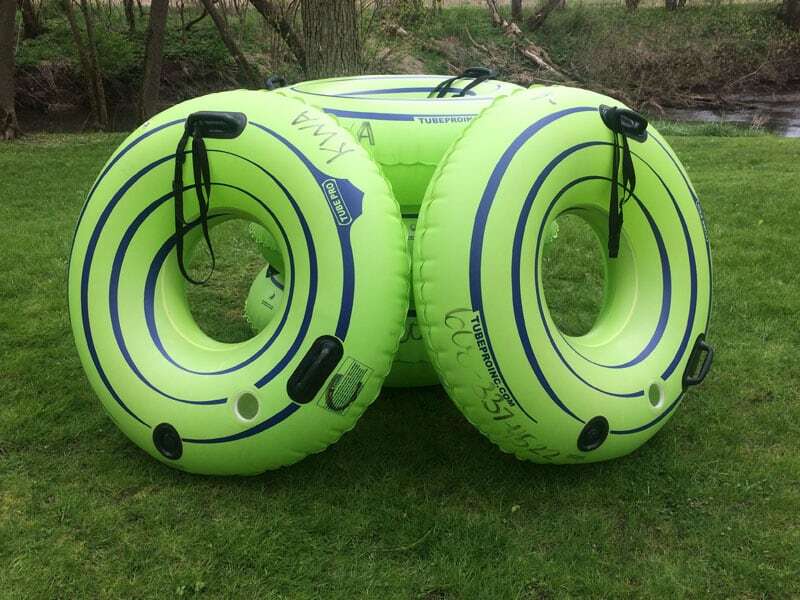 We recommend that if you use the tubes, have everyone in your group use them, because tubes move much more slowly down the river. Also, we recommend that you don’t start before 11am with the tubes. Give it time to warm up because you’ll be in the water the entire time. Did you know: After every use our tubes are hand washed whether they need it or not. 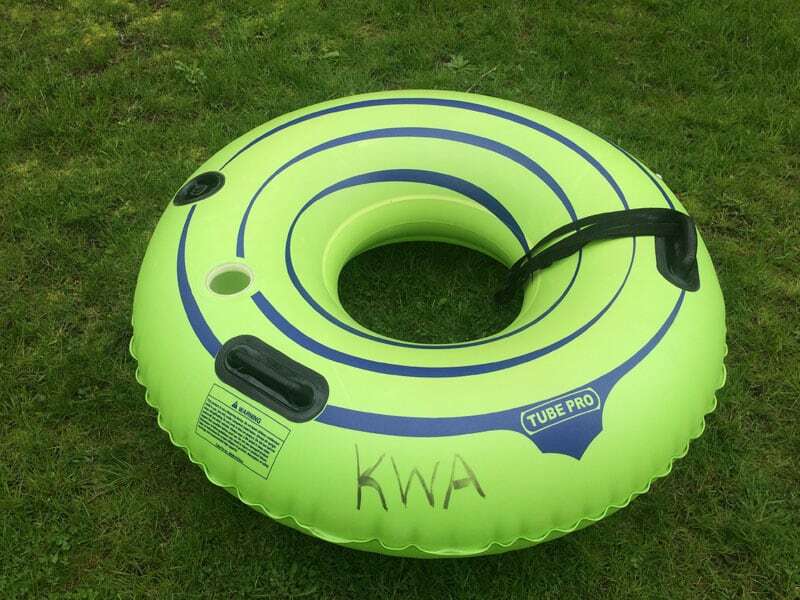 By doing this, it insures that our tubes are the cleanest on the Kickapoo.